So I love the subjects Kathleen paints, but that’s not all. 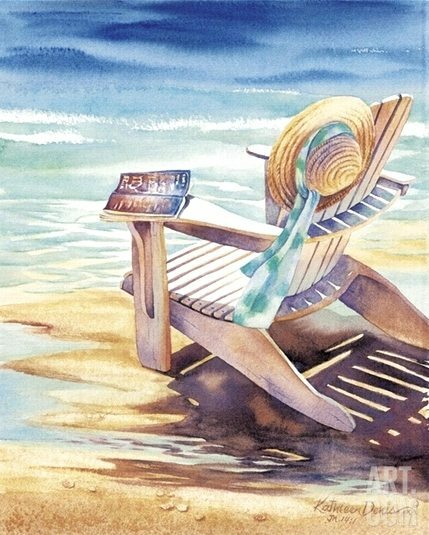 I also love how Kathleen Denis captures each beach scene in a way that is very peaceful and solitary. I happen to love spending quiet time at the beach, and impressions of peace and solitude is a hallmark of her work. 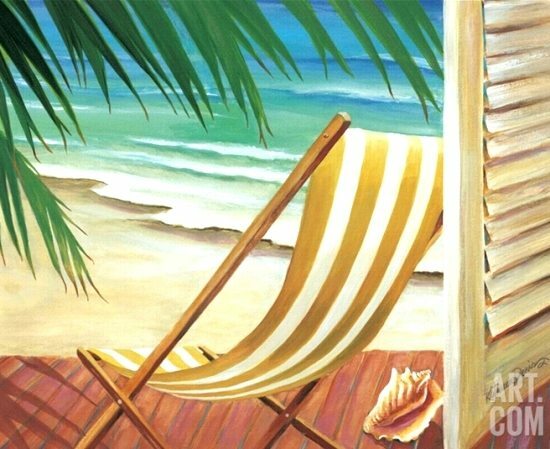 Her scenes invite us to rest on a chair or under a beach umbrella, looking over the sea. 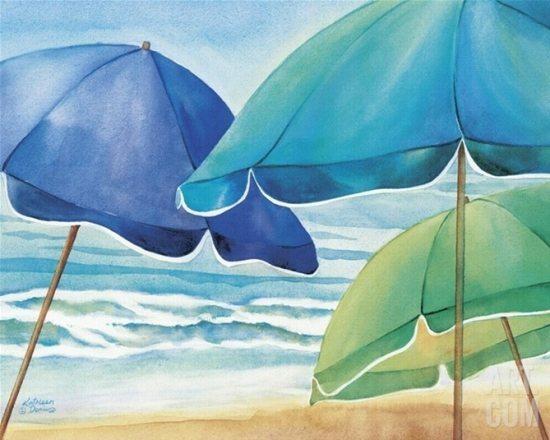 She paints with oils and watercolors, often in plein air, right on the beach, in nature. Maybe even right in her backyard which is in the Florida Keys. Kathleen began her art training at the age of four, and has become one of the nation’s leading licensed artists. 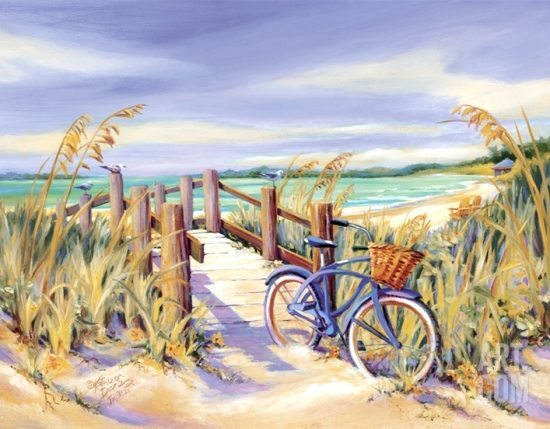 Her artwork is published by numerous manufacturers and can be found on hundreds of home decor and gift products. Her prints are available via Art.com (links are provided under each image), and should you be interested in purchasing an original painting, head over to Kathleen’s Website. Intrigued by the effect of light on objects and the interesting shadows it creates, my challenge and goal is to capture it in each painting, hence, captivating the viewer with it and thereby creating an emotional response. Finding much of my inspiration from nature, architecture, and coastal scenes, I long to invite the viewer into each scene, inspiring them to be aware of the magnificent beauty created for our pleasure. I love creative brushstrokes, riveting colors and unusual compositions!